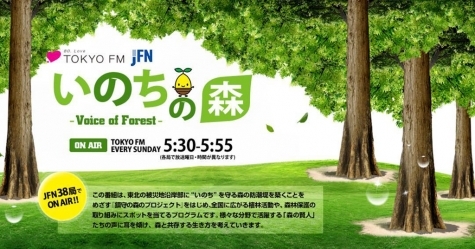 I have been a guest appearance in FM radio program ” Inochi no Mori - Voice of Forest - " broadcasted at 38 stations of JFN nationwide with Tokyo FM as the key station. Radio personality is Ms. Marie Takahashi. It will be broadcast four times on April 7 (Sun), 14 (Sun), 21 (Sun) and 28 (Sun), so please stay tuned! Program broadcast day and time are different in each station. Please check on-air time of each station here. 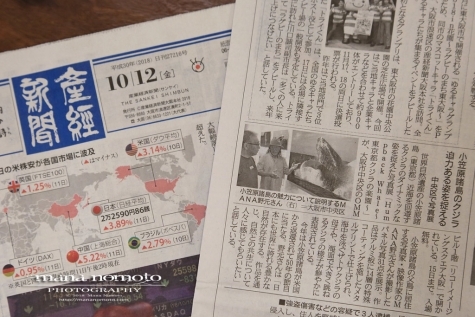 You can also listen the program with “radiko“. Program broadcast day and time are different in each station. Please check on-air time of each station here. 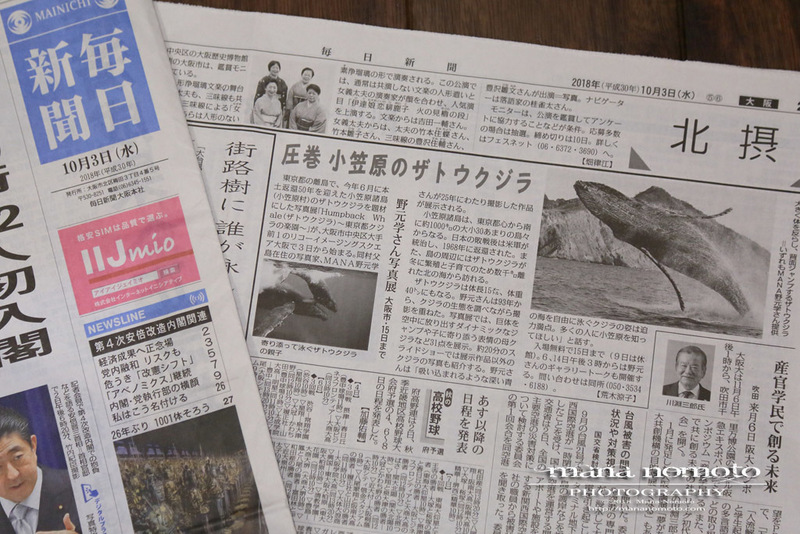 Mana Nomoto photo exhibition Humpback Whale ～Paradise of the whale in Tokyo Metropolis～ had introduced in “Sankei newspaper” on Fri. the 12th. Mana Nomoto photo exhibition Humpback Whale ～Paradise of the whale in Tokyo Metropolis～ had introduced in “Mainichi newspaper” on Wed. and “Mainichi newspaper news and information site”. 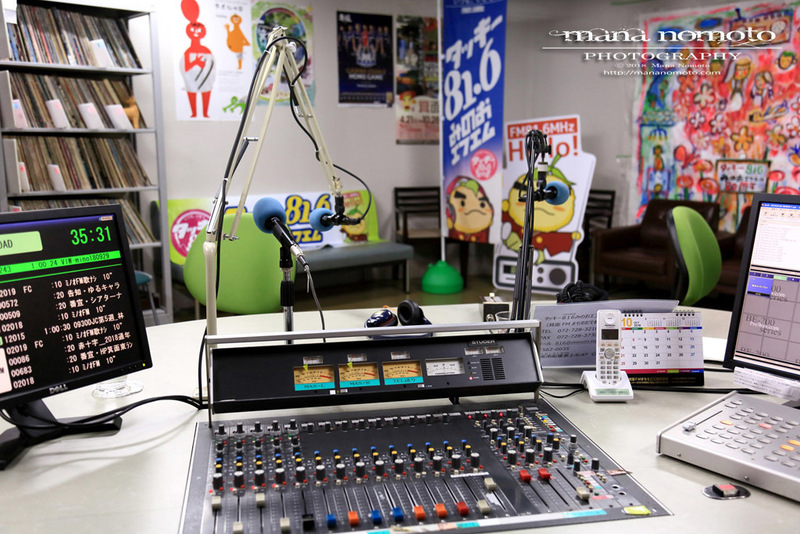 Mana Nomoto will appear in Tackey816 Minoh FM's program, "Tea For Two with Yoko Ueda" today, Wednesday the 3rd from 3:00 p.m. to 4:00 p.m. Please enjoy an hour talk with a radio personality Ms. Yoko Ueda. Program can be listened on a internet radio.